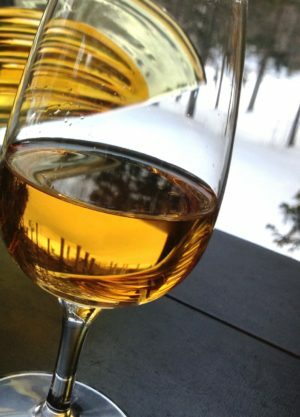 What Goes on at a Cidery in Winter? 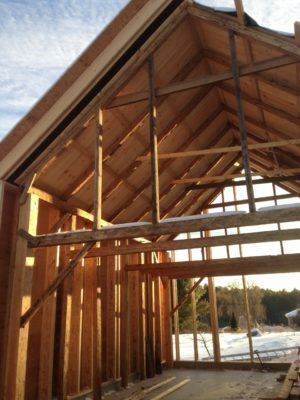 In New England, winter is the time of year when hunkering down and hibernating come naturally to many. It is the same for many New England cideries. The apple trees are dormant and blanketed in snow. The cider is pressed and quietly fermenting away. And the cider makers? As cozy as it would seem to sit by their tanks with a hot toddy, watching the air locks percolate as the chain of chemical reactions goes on inside, cider makers don’t take such a break. Throughout much of the winter for cideries in New England, the rhythm of production takes a lull, but these cider makers find ways to stay warm by staying busy. We tapped three cideries in New England to learn how they keep operations kindling during these cold winter months. 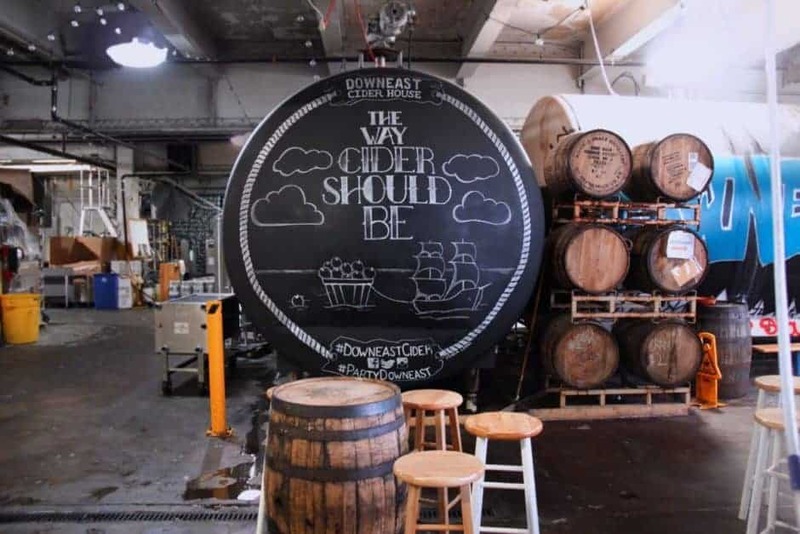 At Downeast Cider House, a regional company in Boston, co-owner Tyler Mosher says September through December are “the biggest months in their year.” They work hard to release two of four seasonal ciders. November sees the release of their Winter Blend, aged with oak, cinnamon and nutmeg. “Right around the holidays, (people) find it to be nostalgic,” noted Mosher. As the holidays ended, the Downeast crew began their Maple Blend, a cider that carries the fine character of Vermont maple syrup and notes of roasted pecans. Mosher explained, “Right after New Year is when it actually turns into real winter. Everything slows down a whole lot for us.” They take advantage of winter to prepare for the other nine months of the year. He described winter as “the slowest time of production, and also the time of year you take to make as many improvements on your facility as you possibly can.” This winter’s projects include planning the summer seasonal, tuning up equipment and re-vamping their taproom. 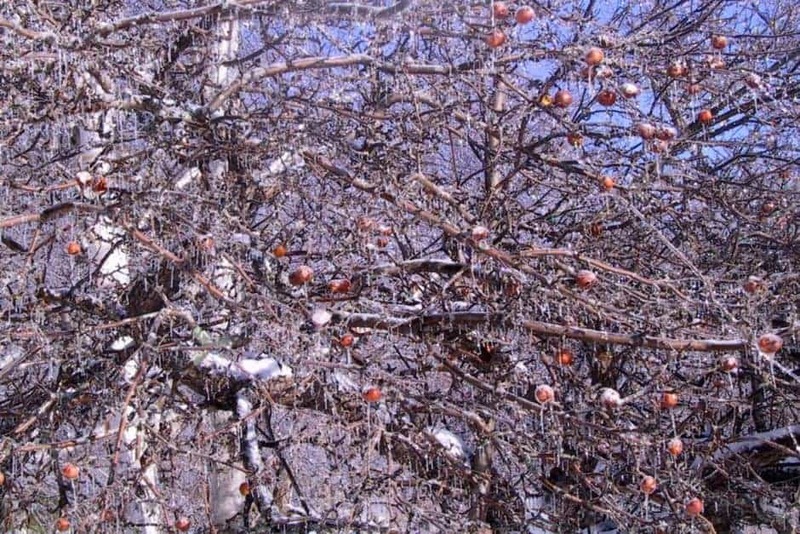 In early March he takes a few days to snip through his dwarf trees, then makes rounds to neighbors’ abandoned orchards to prune heirloom and wild apple trees in exchange for an interesting mix of apples in the fall. Having so many wild and unknown apples makes for quite a palatable adventure during the winter. Recently after taste-testing his fermenting ciders, he was particularly excited by a crabapple he pressed in the fall. He described it as “rich, balanced, full body and great color”—all the makings of a great cider. Newhall Farm in Reading, Vermont, has a whole different line of work cut out for them in the winter. Linda and Ted Fondulas run a full working farm and one line of cider: ice cider. After picking a mix of wild, heirloom and dessert apples in October, their apples are sent to Eden Ice Cider in the Northeast Kingdom of Vermont. In mid-December, “the apples sit in storage where sugar content is concentrated,” Ted said. After the apples are pressed, the juice is set outdoors in totes and given over to cryoconcentration in which “the natural freezing and melting process results in a residual concentrate naturally high in sugar and flavor.” This leaves the final product sweet, with an ABV of 12%. Cider makers, unlike many woodland creatures and cider drinkers, do not retreat into hibernation for these cold winter months. Whether to prune trees or repair facilities, these hard workers don’t miss a beat in their chilly interlude. With four seasons of labor in every glass, even the darkest months of the year bring you the golden liquid that is sure to take the bite out of winter.